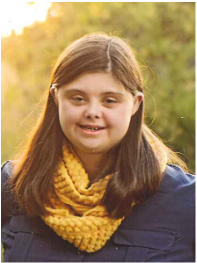 Lindsey has selected The Down Syndrome Association to benefit from her Fiesta Especial Royal Court campaign. 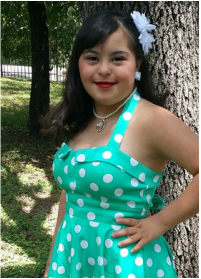 The Down Syndrome Association provides services and support for children and adults with Down syndrome and their families in San Antonio and the surrounding areas. Lindsey enjoys volunteering with Holiday Meals-On-Wheels, as well as Stepper Community Outreach. 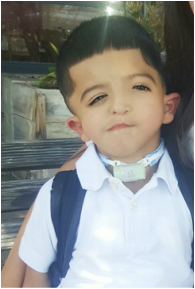 Adam is looking forward to being a part of the Fiesta Especial program because he "likes to go places and meet people." This program is definitely one way to do that! Adam is an extremely pleasant, kind and happy person who will bring a smile to everyone's face. He loves trains and pretty much anything with wheels. David has selected Clark High School Friends Having Fun to benefit from his campaign. Friends Having Fun (FHF) is an organization that was created to establish friendships between students with special needs and their non-disabled peers by facilitating appropriate social situations for all students while promoting awareness of various disabilities. Macauley has selected Clark High School Friends Having Fun to benefit from her campaign. Friends Having Fun (FHF) is an organization that was created to establish friendships between students with special needs and their non-disabled peers by facilitating appropriate social situations for all students while promoting awareness of various disabilities. Gabby has selected the Santa Rosa Hospital to benefit from her Fiesta Especial Royal Court campaign. Gabby served as Page on the 2013 Fiesta Especial Royal Court. From there, she went on to serve on the Pinatas in Los Barrios court and then to represent her Dance School as a Miss Danzavida de San Antonio Princess. Gabby wants to be an inspiration and role model for others. While down syndrome is a part of who she is, it does not define her. Enrick has selected The Autism Treatment Center to benefit from his Fiesta Especial Royal Court campaign. The ATC assists people with autism and related disorders throughout their lives as they learn, play, work and live in the community. Enrick is well known in the community as he has helped his father raise money and participate at many charity and public events to include CureSEarch for Children's Cancer, Any Baby Can Autism Walk, Blue Santa Walk, AccessAbility fest and many others. 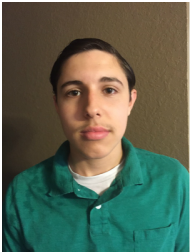 Enrick does not let autism slow him down in his pursuits and interests. 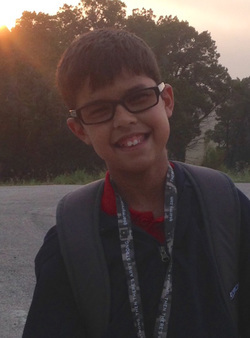 Carlos has selected Job Adventures to benefit from his Fiesta Especial Royal Court campaign. Job Adventures is dedicated to helping students and young adults with special needs find meaningful and gainful employment. Carlos is very outgoing, dedicated, happy and hard working. He loves people, and more importantly, helping people. 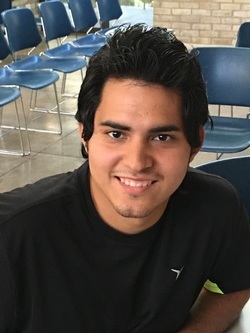 Carlos is a volunteer at the San Antonio Food Bank and a participant in th eAdult Years Vocational Program with SAISD. Gabriel has selected Challenger League @ McAllister Park to benefit from his Fiesta Especial Royal Court campaign. The Challenger Division was established in 1989 as a separate division of Little League to enable boys and girls with physical and mental challenges, ages 4-18, or up to age 22 if still enrolled in high school, to enjoy the game of baseball along with the millions of other children who participate in this sport worldwide. 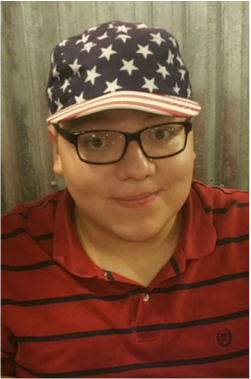 Follow Gabriel in his campaign on his Facebook Page! Lizzie has selected TBD to benefit from her campaign. 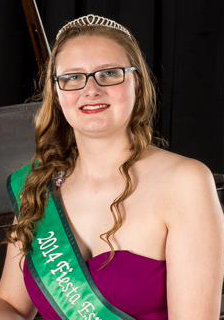 Lizzie is no stranger to the Fiesta Especial Royal Court experience having served on the 2012, 2013 and 2014 courts. Lizzie sees serving on the court as a job with great purpose! 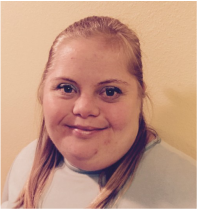 Lizzie enjoys participating in this leadership and life skills program because "Fiesta Especial is fund and being on the Royal Court has been one of my favorite things to do!" Lizzie also likes to spend her time volunteering with San Antonio Clubhouse and the San Antonio Food Bank. Ariel has selected Job Adventures to benefit from her Fiesta Especial Royal Court campaign. Job Adventures is dedicated to helping students and young adults with special needs find meaningful and gainful employment. 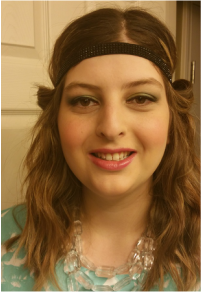 Ariel wants to show people the many faces of autism. Ariel is looking to strengthen her social skills through the Royal Court experience. Ariel volunteers at a local preschool and has volunteered at Camp CAMP for the past 3 summers. Kevin has selected Special Olympics to benefit from his campaign for King. Special Olympics provides year-round sports training and athletic competition in a variety of Olympic-type sports for children and adults with intellectual disabilities, giving them continuing opportunities to develop physical fitness, demonstrate courage, experience joy and participate in a sharing of gifts, skills and friendship. Mr. and Mrs. Oran J. Tsakopulos, Jr.
Mr. and Mrs. George M. Williams, Jr.